I just wanted to email to say a huge thank you to both of you, and to THHN, for allowing us to spend the week at Vomero. The apartment was lovely and you really couldn’t do enough for us. We had a lovely break away from normality, including a visit to Babbacombe, playing adventure golf, going bowling, swimming and to the cinema. We were totally overwhelmed by the generosity of everyone involved – the hampers were amazing. 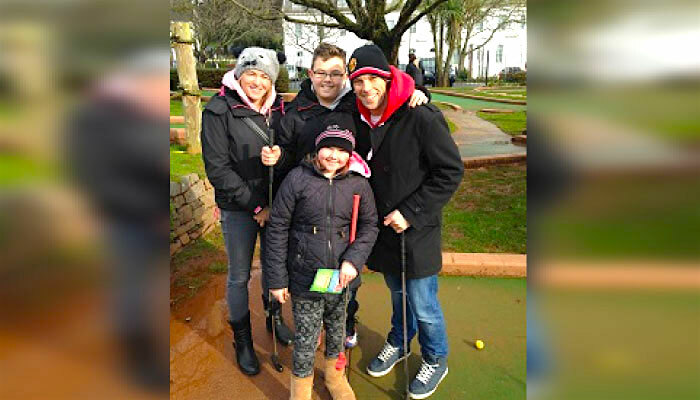 Ben and Amie really enjoyed our Torbay adventure ? Please could you forward our thanks to everyone involved in the THHN charity – we feel really lucky to have benefitted from all of your kindness and hard work.